Are you a Certified Flight Instructor? You need CFI Insurance from AIR! 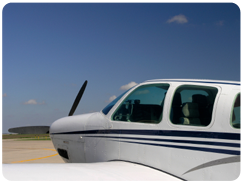 Are you a Certified Flight Instructor (CFI) providing instruction in someone else’s aircraft? If so, you could be liable for the instruction that you provide? For this reason you need CFI insurance from SAFE and Aviation Insurance Resources. The Society of Aviation and Flight Educators, better known as SAFE, provides its member-flight instructors with the best protection available in the industry at competitive rates. Why are we telling you this? The SAFE Insurance program is offered exclusively through Aviation Insurance Resources and underwritten through STARR Aviation (Starr Idemnity) at a discounted rate with additional policy benefits. Aviation Insurance Resources also provides quality Certified Flight Instructor policies for those who are not members of SAFE. Provides liability coverage for flight instruction, flight review, flight examinations, personal flying, and even ground instruction. Click Here for a full rundown of features and benefits of SAFE CFI insurance. At Aviation Insurance Resources (AIR), we provide a full range of aircraft insurance and aviation insurance products, including CFI Insurance. And because we are licensed in all 50 states (with regional offices throughout the country) and represent all of the major aviation insurance markets, we can offer you the broadest package of protection at the best available rates. To find out more about CFI Insurance, please contact Aviation Insurance Resources by calling 877-247-7767 or visit AIR-PROS.com today and receive a free Aircraft insurance quote! You can also follow us on Facebook, Twitter, LinkedIn, Pinterest, and Google+.